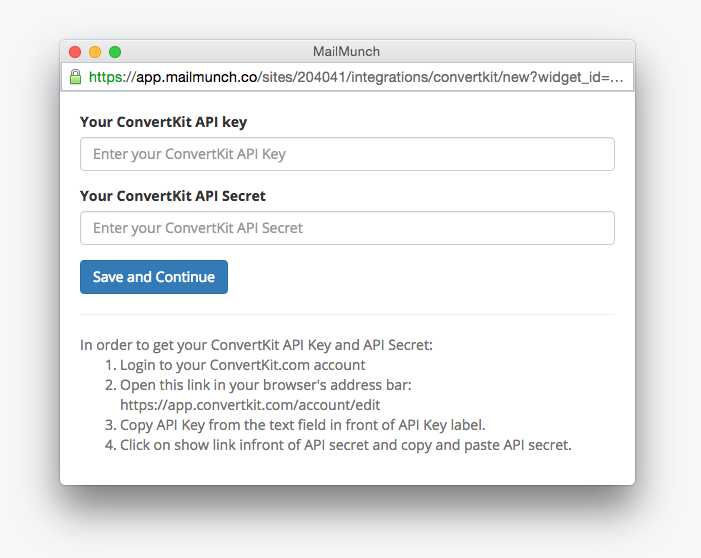 Connect your MailMunch account with ConvertKit to collect Subscribers. 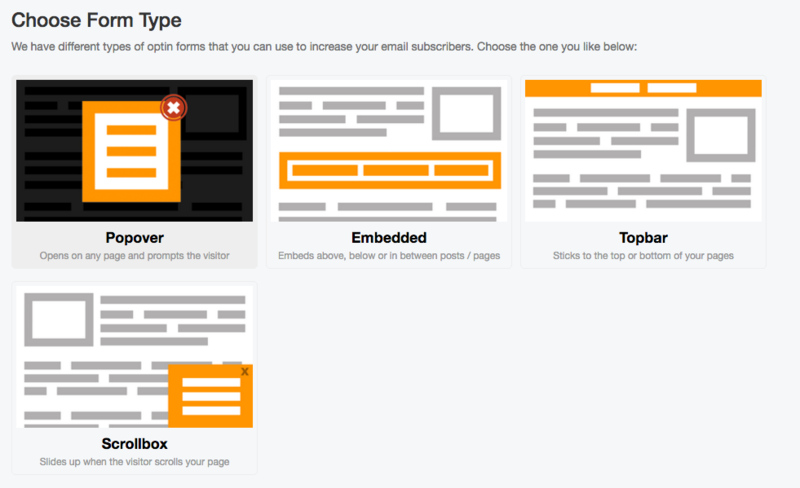 You can now integrate MailMunch with ConvertKit to get even more Form design options! To do that, first create a new Form in MailMunch. Then answer a few questions and design your Form. 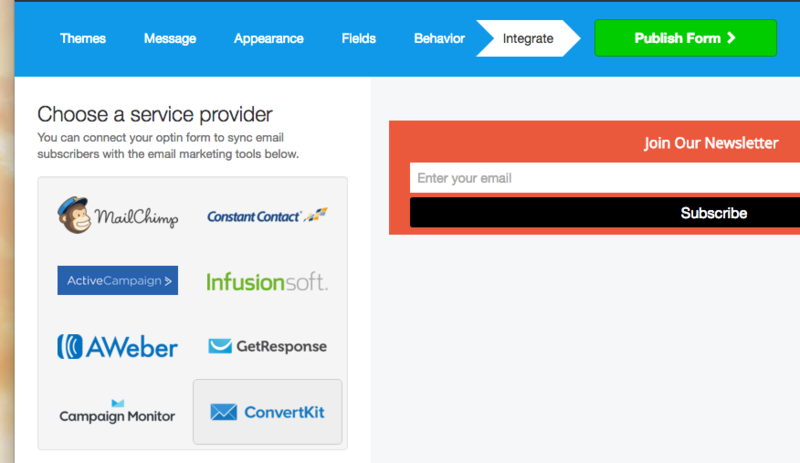 On the Integrate step, choose ConvertKit. In the popup window enter your ConvertKit API key. 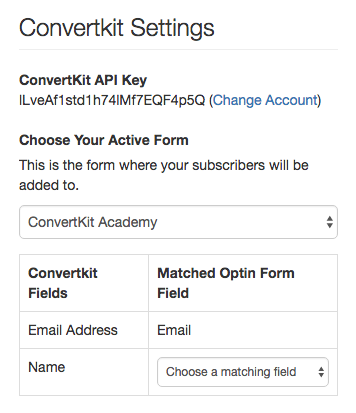 You can find your ConvertKit API code on your Account Settings page. From there you can choose a form in your ConvertKit account that you want to connect to. Hit Save and you're done!